Looking for holiday ideas? 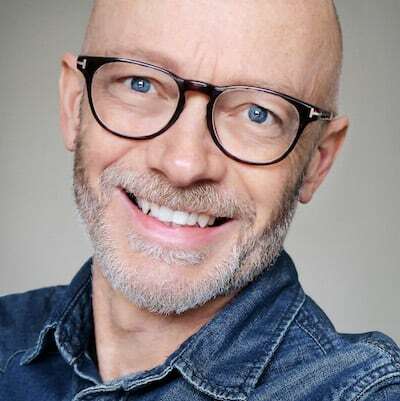 Here our editors – The Sunday Times travel writers Mark Hodson and David Wickers – reveal their top 10 holiday destinations. These are the most popular destinations with our readers, along with our own personal recommendations. Scroll down to see the latest Government data on the numbers of UK visitors travelling abroad. If you are travelling with children, see the Top 10 family destinations. You can also search holiday ideas for couples. Spain has long been a favourite of British holidaymakers, and it remains the UK’s number one holiday destination. 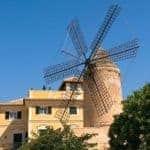 In particular, the Balearic islands of Mallorca, Ibiza and Menorca are perennial big-hitters, along with Canary Islands such as Tenerife and the lesser-known La Gomera and La Palma. Other great beach destinations on the mainland include the Costa de la Luz and Catalonia. Northern Spain is overlooked by many tourists, even though it combines magnificent empty beaches with rolling countryside, mountains, medieval towns and buzzing cities. It’s authentic, great value and the food is superb. There’s a lot more to Spain than beaches. 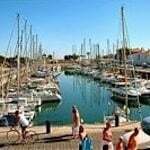 There are great walking holidays along with wine and gastronomy breaks and cycling. The rise of low-cost airlines has made it easy to enjoy city breaks in the likes of Palma and Seville – both of which are rich in culture. 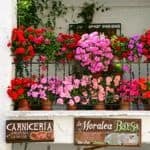 Find more holiday ideas in Spain, plus the hottest regions of Spain and an extensive guide to the best family holidays in Spain. 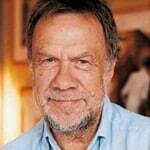 The relationship between the British and French has had its ups and downs over the years, but our love of all things French shows no sign of abating. From the Channel ports to the islands of the Mediterranean, Francophiles are never short of new destinations to discover. Among our favourite holidays in France are the beaches of Corsica or you could go cycling in the French countryside. 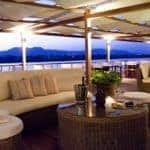 If you’re looking for an excuse to crack open a few bottles, relax and watch the countryside roll by on a luxury hotel barge with gourmet meals, fine wines and excursions all included. 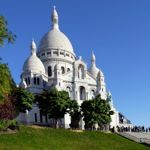 Destinations include Burgundy, Provence and Gascony. There are few better ways to enjoy the French countryside than in your own villa with private pool – our favourite spots include the Dordogne, Provence and the Côte d’Azur. 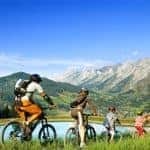 In the French Alps you can ski on a budget, or with the family, and the mountains also make a great destination in summer. You can rent a French chateau and even in winter you’ll find long days of sunshine on the Cote d’Azur, where you can enjoy the timeless beauty of Nice. 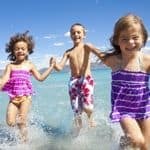 Find more holiday ideas in France, or see our editors’ tips on the best family holiday destinations in France. Holidays in Greece are all about simplicity. 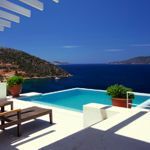 Despite the recent economic crisis, it is the whitewashed villas, the friendly tavernas, the hot sun and blue seas that keep us coming back year after year. Even Greek food is a masterpiece of simplicity, both traditional and healthy. It is the islands that attract the most visitors. Corfu’s villas never lose their appeal. If you’re looking for the quintessential small Greek island, we recommend Paxos, which has no airport and is a great place for lazy days, boat trips and lovely villas. If you fancy being more active, try the new Paleros Beach Resort with water sports included. 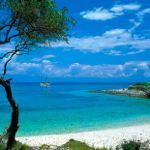 It is set on a sheltered bay overlooking the Ionian Sea. Kos has a wide choice of discounted luxury hotels such as the all-inclusive Mitsis Blue Domes. 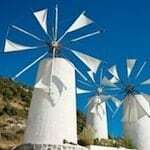 Another great all-inclusive option is the IKOS group. 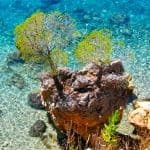 Crete is the largest and arguably the most interesting of the islands. Steer away from the tacky resorts and rent one of these stylish houses or family villas. 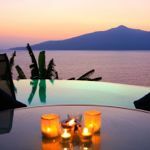 Find more holiday locations in Greece and the hottest Greek islands. America is the most popular long-haul destination for British holidaymakers and it’s not hard to see why. 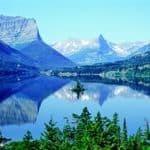 The USA has an impressive diversity of landscapes, iconic cultural sights, friendly people and delicious food. New York is an obvious starting point, a 24/7 hit of street-level thrills and high culture. 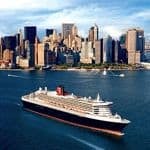 You can arrive on a Transatlantic cruise, combine the Big Apple with Las Vegas, or experience Niagara Falls. The Mid West is the heartland of America. 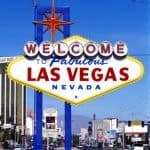 Las Vegas is the popular highlight, easily combined with the Grand Canyon on a fly-drive. A great way to explore the US is to rent a motorhome. The West is a great region for road trips: you could tour the great National Parks or take a trip down Route 66. 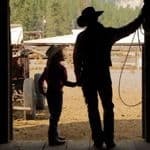 Explore the Rockies or stay on a working ranch. Love beaches? Florida is easy to reach from the UK. Find more holidays in America and the best time of year to visit. 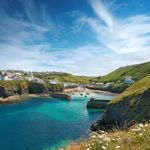 No list of holiday destinations for UK travellers would be complete without mentioning our own great country: not just England, but Wales, Scotland and Northern Ireland. 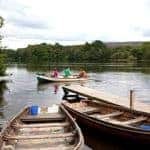 The UK’s most popular tourist destinations include London, Devon, Cornwall and Dorset, the Lake District, the Peak District, the Yorkshire Dales, East Anglia, Sussex and Scotland. In the English countryside you can rent a Downton Abbey-style historic house sleeping 6 – 60 people. Perfect for birthdays or anniversaries. 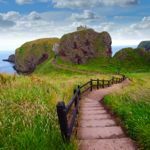 In Scotland you could take a whisky tour, ride a steam train on the West Highland Line or visit the island of Mull to see minke whales, otters, seals and porpoises. Explore more UK holiday destinations. 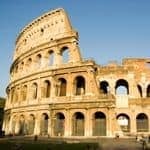 Ancient culture, great beaches, fantastic food and charming people – it’s no surprise that so many of us decide to holiday in Italy. Our editors consistently rate it is one of the best summer holiday destinations in Europe. 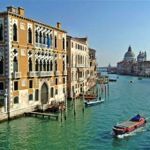 For a taste of la dolce vita, head to the wonderful cities of Rome, Florence and Venice – for an extra dash of old-school glamour, you can even travel to Venice on the Orient-Express. For a relaxing stay in the countryside or close to a beach, rent a villa with private pool. Umbria is a beautiful region of Italy, boasting medieval market towns, wonderful vineyards and great works of the Renaissance – and is largely untouched by tourists. Beach lovers will be blown away by the 500 miles of coastline in Puglia in the south, not to mention the traditional architecture and terrific food and wine. 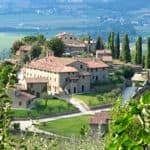 Tuscany is deservedly popular but you can still escape the crowds by renting a villa. 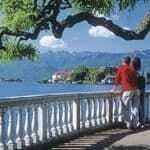 The Italian Lakes attracted some of the first package tourists from the UK and they continue to be popular for their beautiful setting, mountain views and great transport links for visiting local sights. 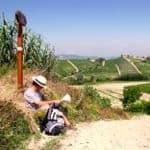 The lesser-known area of Le Marche offers everything you would expect from Italy – great beaches, historic palaces and galleries stuffed with masterpieces. 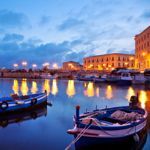 The island of Sicily combines historical sites with a gorgeous coastline, while Sardinia has the country’s best beaches, and the Amalfi Coast is a fantastic base from which to visit Sorrento, Capri, Mount Vesuvius and Pompeii. 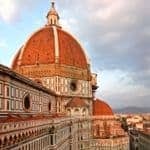 More about holiday destinations in Italy. The pristine coastline of Croatia is among the most beautiful in the world – and one of the least spoilt in Europe. It’s also good value compared to other Mediterranean countries. Either stay in one of the beautiful resorts that dot the coastline, or head out to one of the many stunning islands that lay off the coast. Hvar is a real stunner, easily reached by ferry from Split. 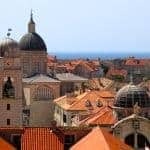 The historic city of Dubrovnik has been beautifully restored in recent years. 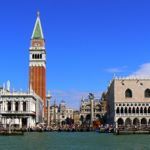 Originally built by the Venetians, the Pearl of the Adriatic has great food and is a wonderful base from which to take the ferry to surrounding islands. Also, take a look at neighbouring Montenegro which very good value. 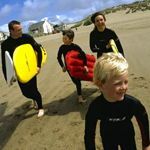 Though tiny – half the size of Wales – it is one of Europe’s fastest growing holiday destinations. 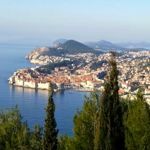 Many visitors fly into Dubrovnik and take the half-hour drive across the border. See an overview of the best places to stay. 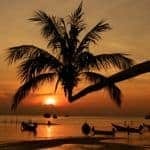 Thailand, the Land of Smiles, continues its meteoric rise from backpackers’ haven to mainstream holiday favourite. The appeal is obvious: beautiful countryside and beaches, great food, friendly people and low prices. But Thailand also has a unique cultural heritage, infused by Buddhist ideals. And Bangkok, the capital, fizzes with energy. 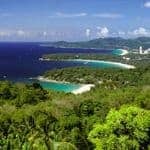 It’s the islands that attract the most attention, however, with Phuket bringing in most visitors. Most of its hotels are world class. 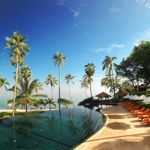 Not far away, in the Gulf of Siam, Koh Samui has some delightful small luxury hotels, and its neighbour Koh Phangan is on the up. For a touch of opulence, book a berth on the Eastern & Oriental Express as it rides between Bangkok and Singapore. 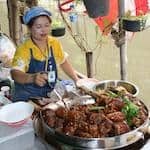 If you want more than beaches, see these tailor-made holiday ideas, including trips designed for foodies and families and the chance to kayak at sunset and explore Khao Sok National Park. See more cheap long haul destinations. In terms of price, Turkey has benefited from its exclusion from the Eurozone. Although it suffers from inflation and isn’t as cheap it was 20 years ago, it still compares favourably to its western neighbours. And the food is superb. With its endless Aegean coastline, Turkey has some of Europe’s finest beaches, many of which remain relatively unspoilt. And you’re rarely far from a magnificent Roman ruin or majestic mosque. If you want to escape the package hordes, the best small resorts include Kalkan, Kas, Akyaka and Dalyan. You can also explore the coastline on a gulet cruise. 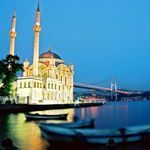 See our full guide to the best places to holiday in Turkey and more holidays outside the Eurozone. 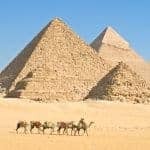 It’s difficult to know where to start with the historic treasures that Egypt boasts, but a great way to explore them is on a Nile Cruise. Float in luxury between the temples of Karnak and Luxor, the Valley of the Kings, and the great dam at Aswan. 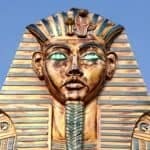 The capital Cairo is home to the Egyptian Museum where you can see King Tutankhamen’s solid gold death mask, and just outside the city are the Pyramids and Sphinx. For a more laid-back experience head to the sparkling waters of the Red Sea resorts which offer some of the world’s best snorkeling along with luxurious, good-value hotels. Also see these family trips to Egypt. Need more inspiration? 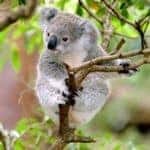 Try out fun holiday quiz. Just answer 10 simple questions and we’ll give you personalised recommendations. Portugal is a perennial favourite with British visitors and it’s easy to see why. It has historic cities, great food, glorious countryside, excellent beaches and friendly people. It’s also good value. The Algarve is a firm favourite although more visitors are discovering the unspoilt charms of the Alentejo (where many Portuguese go on holiday). See more destinations in Portugal. 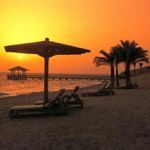 The Arabian Gulf is a fast-growing destination served by many excellent airlines and offering guaranteed winter sun. The glittering city of Dubai is a proven winner and many tourists are now discovering its neighbour Abu Dhabi which has some astonishing beachfront hotels. For an intense hit of culture and adventure, head over the border into the Sultanate of Oman. The growth of the Maldives shows no sign of slowing. 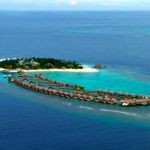 With each resort on a private island, it’s obviously a great destination for honeymoons, but is also becoming known for family holidays. 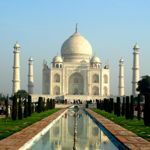 Although it doesn’t rank amongst the most popular holiday destinations, it’s impossible to ignore India for its sheer sensory overload, astonishing diversity, natural beauty and cultural wealth. You could marvel at the cultural treasures of the Golden Triangle or tour the beguiling southern state of Kerala. Find more tailor-made journeys in India with TransIndus. Canada has stunning scenery. We’re huge fans of the Rockies where you can jump on board one of the world’s great trains, the Rocky Mountaineer. It’s not just railways – you can take a wildlife tour, a fly-drive or a cruise. In the east, discover the Atlantic Coast where you can eat fresh lobster, oyster and caviar and canoe amongst icebergs and whales. 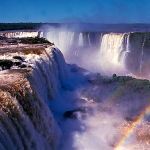 South America is a part of the world that many Brits don’t know at all, yet it’s rich in culture, beaches, adventure, has fantastic food and wine, great places to stay, vibrant cities and pristine wilderness. See our guide to the best holiday destinations in South America. If you know when you want to travel, click on a month for my detailed tips: January, February, March, April, May, June, July, August, September, October, November, December. See more unusual holiday ideas, and our pick of the best summer honeymoon destinations. According to the most recent government statistics, UK residents made 46.6 million leisure visits abroad in 2017. This excludes business travel. Of that figure, 38.7 million visits were to countries in Europe (36.7 million to EU countries) and 2.4 million were to North America. The chart below shows the 20 most visited countries by UK tourists in 2017, with figures in thousands. These are all leisure visits, and exclude business trips.